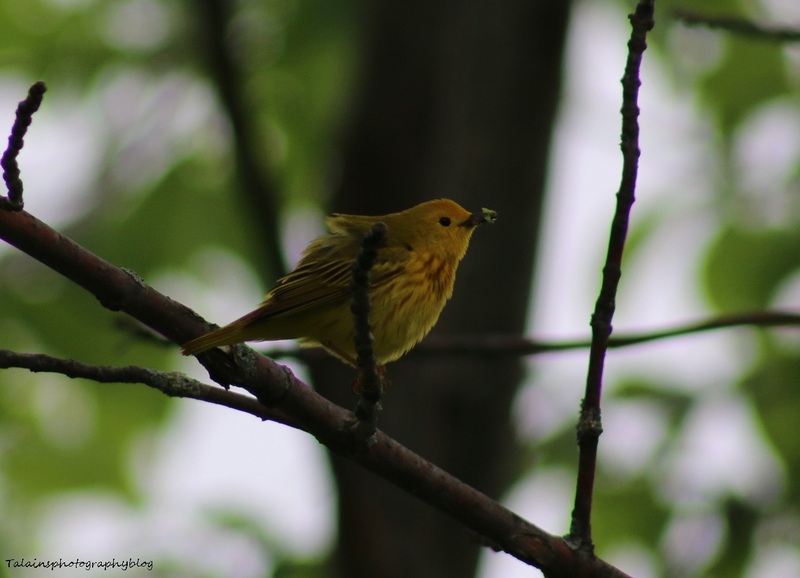 A male Yellow Warbler from May 31st. He just got down fluffing his feathers before he finished his green caterpillar meal. 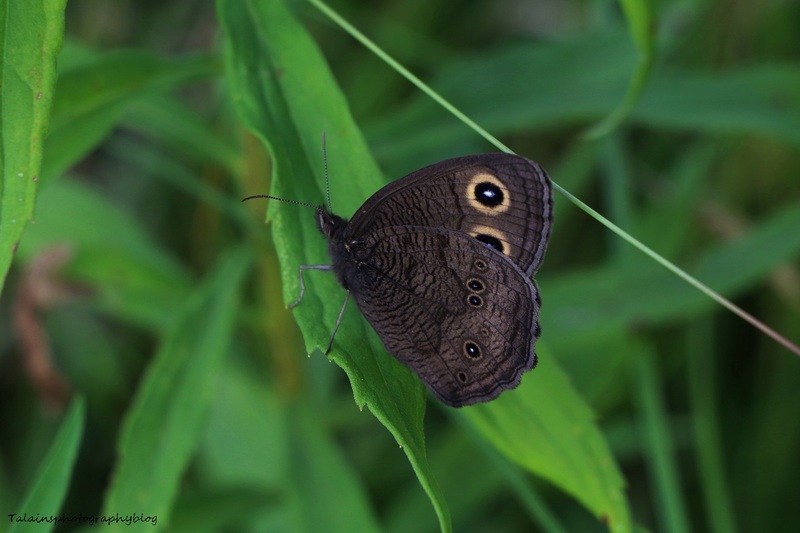 A Large Wood Nymph Butterfly from the farm. 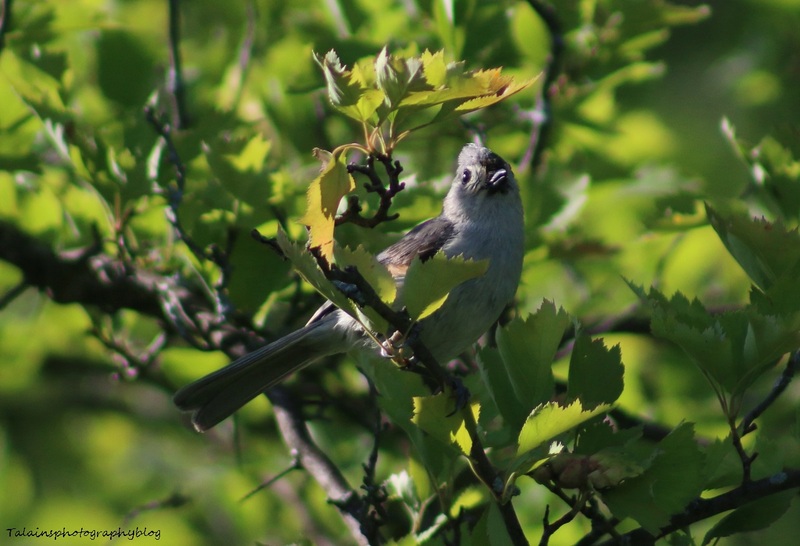 A Tufted Titmouse from June 15th. He was up to the farm just looking for bugs bouncing from tree to tree. 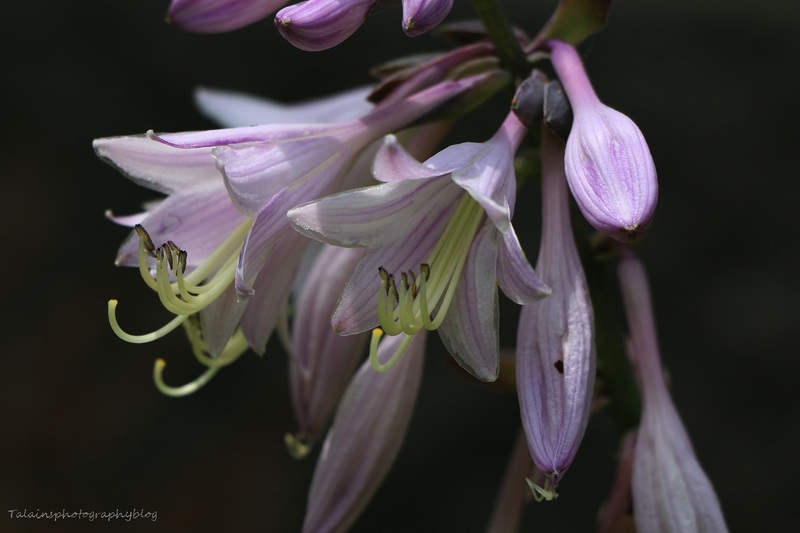 A flower image that I took in low lighting. 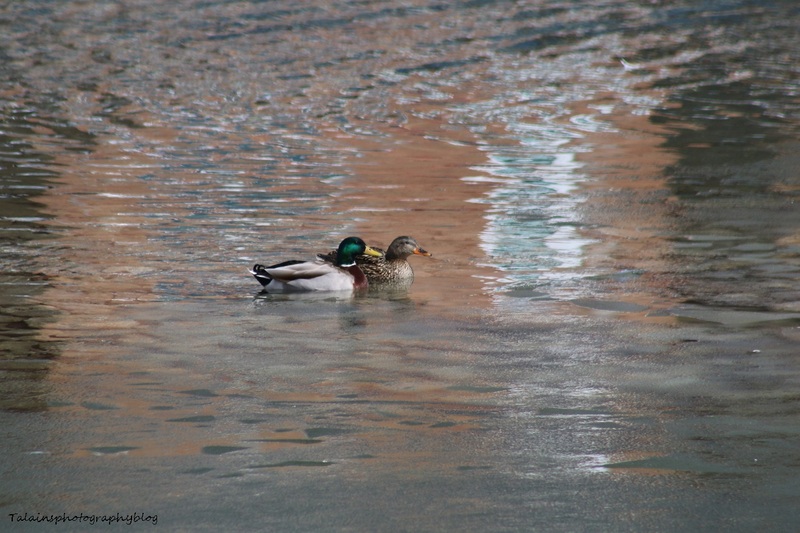 A pair of Mallard Ducks that were swimming in the Susquehanna River back on April 2nd just before the sun was going down. 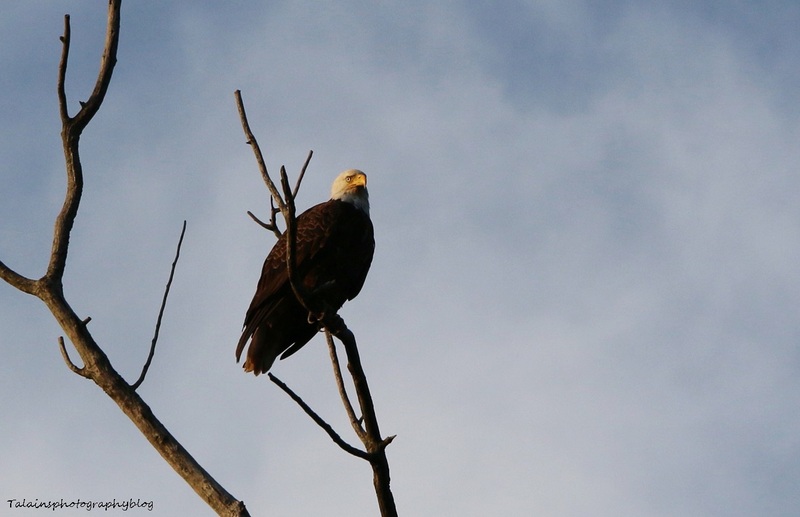 An American Bald Eagle that we saw July 17th why'll kayaking on the Chenango River in Binghamton off of rout 7. 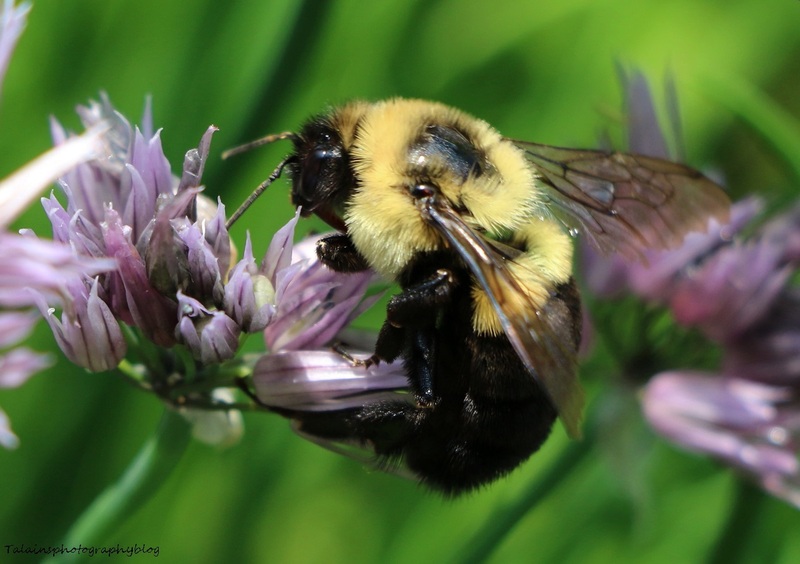 A Bumble Bee enjoying some of the Garlic Chives in my herb garden. My youngest son calls them Fluffy Bees and they are one of his favorite creatures.